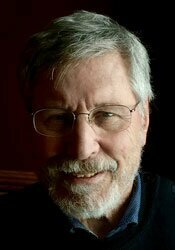 Join renowned trauma expert and NY Times bestselling author, Bessel van der Kolk, MD, for this transformational 2-day intensive workshop on the latest research and drug-free treatment techniques for your trauma clients. Dr. van der Kolk will give you a new understanding of the neuroscience of traumatic stress and the research demonstrating the efficacy and possible limitations of mind-body treatment approaches. He will detail the benefits of neurofeedback, EMDR, meditation, yoga, mindfulness, and sensory integration methods such as dance and movement. This is a “don’t miss” workshop that is based on Dr. van der Kolk’s own research but also that of other leading specialists. Break down how adverse childhood experiences affect brain development, emotion regulation & cognition. CALIFORNIA ALCOHOLISM & DRUG ABUSE COUNSELORS: PESI, Inc. is an approved provider by the CCAPP-EI, Provider #: OS-03-036-1017. This activity meets the qualifications for 12.5 CEH's (continuing education hours). CALIFORNIA NURSES: PESI, Inc. is a provider approved by the California Board of Registered Nursing, Provider Number 17118 for 12.5 contact hours. Full attendance is required. No partial contact hours will be issued for partial attendance. CALIFORNIA SOCIAL WORKERS/COUNSELORS/MARRIAGE & FAMILY THERAPISTS/LICENSED EDUCATIONAL PSYCHOLOGISTS: This intermediate activity consists of 12.0 clock hours of continuing education instruction. Credit requirements and approvals vary per state board regulations. Please contact your licensing board to determine if they accept programs or providers approved by other national or state licensing boards. A certificate of attendance will be awarded at the end of the program to participants who are in full attendance and who complete the program evaluation.